New Orleans business and hotel magnate Joseph Jaeger Jr. has purchased Nottoway Plantation in White Castle, with plans to enhance the guest experience at the historic antebellum home, said to be the largest still standing in Louisiana. Jaeger, CEO of MCC Real Estate Group, owns several prominent New Orleans properties, including various boutique hotels in the French Quarter. His business focuses on unique venues and experiences, drawing a large European following. Jaeger says he hopes to bring that same focus to Nottoway. 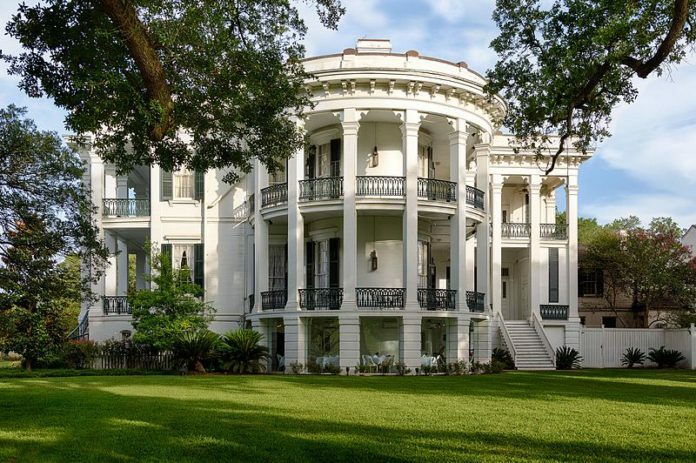 Jaeger bought Nottoway Plantation for $3.1 million and “other good and valuable considerations” on Feb. 13, according to Iberville Parish land records. That may sound like a bargain for a property that spans more than 30 acres and includes two ballrooms, a restaurant, 40 overnight rooms and a 53,000-square-foot mansion. Also, around 2014, Nottoway underwent a $15 million expansion and renovation. But the value was based more so on the plantation’s recent financial performance. The other valuable considerations cited in the sale document refer to furnishings, such as furniture and artwork, Jaeger says, which were considered separately. Located along the Mississippi River, Nottoway Plantation was originally built in 1859 by sugarcane magnate John Hampden Randolph. The most recent owner was Australian businessman Paul Ramsay, who bought Nottoway in 1985. Ramsay passed away in 2014, though, leaving the plantation to his foundation, which sold it to Jaeger.